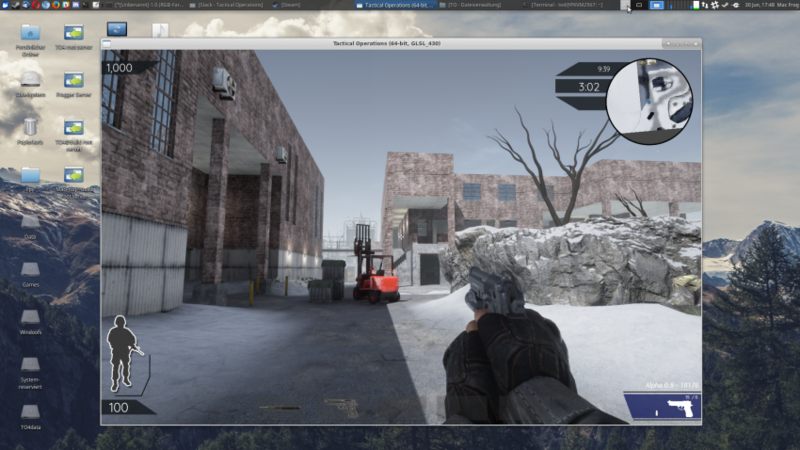 TO4: Tactical Operations [Steam, Official Site] is an Unreal Engine powered free first-person shooter that's coming to Steam and they're planning a Linux version. Yes, you have read correctly, we really have been working on a Linux version of both the Server and Client for TO4, The first iteration is now complete and both server and client are running. We will ship the Linux Client as an unsupported version of the game (for now), this means if there are problems or bugs we will be prioritizing the Windows version above Linux (sorry Linux people). A lot of people prefer to run a Linux based OS on servers to save the cost of a Windows license. So we are really happy that we can supply Linux Server files, this should make the cost of running or renting a server cheaper once the game is released. There are still a few small issues to sort out, but overall both are working better than expected for a first iteration. The Linux client will be available from the Linux Version of Steam. Overall, for an early work in progress it doesn't look too bad. Will be interesting to see if it finds any popularity, considering it's going to be free it could pull in quite a few players. The maps look quite interesting too and for those of you who prefer the faster paced experience found it classic shooters, with a modern setting it might be a good one. Thanks for the tip maor. Does anyone else catch a certain CounterStrike vibe from the map pictures? Not necessary bad. Just reminded. beko Does anyone else catch a certain CounterStrike vibe from the map pictures? I'm more reminded of Tactical Ops. If it's like that game, I'll probably enjoy it. I couldn't find a reference to it on the official site, but the email tip we got said it was inspired by Tactical Ops. Never played that but stuff from this genre is probably very similar to each other. CS is my favourite game, so I also want this one. Nise to see it on GNU/Linux. There used to be another similar project from a few years ago that stopped development after some personal issues the guy who started it had, so these guys started from scratch and made a lot of progress. Also, they are a very small team(about 4-5 people if i'm not mistaken),1-2 coders, 1 animation guy and 1-2 3D people(and always looking for more people to contribute). They are working on the game on their free time and will publish it for free once it will be ready enough. Right now they have a few testers that are helping them in a closed alpha. Well if it's free , might be worth a try. I mean , doesn't cost anything , bugs and all. I recall TacOps. Used to play that quite a bit. So for that reason, if for no other, I'll give this a go. This is lit! Message me when it's out I'll give it a run. Oh for some moments I has very hyped... until I figured I was mistaking TacOps with Infiltration, also a UT mod initially, but more focused on realism. But then searching on the forums, I found there seems to also be a UT Infiltration / Raibow six spiritual sucessor in the making also based on the same engine... and it will enter Steam Early Access.. today! Unfortunatly on the inicial Kickstarter FAQ page it said it would be Win + Mac initially, without a Linux version. Quote What Platforms will Ground Branch be on? 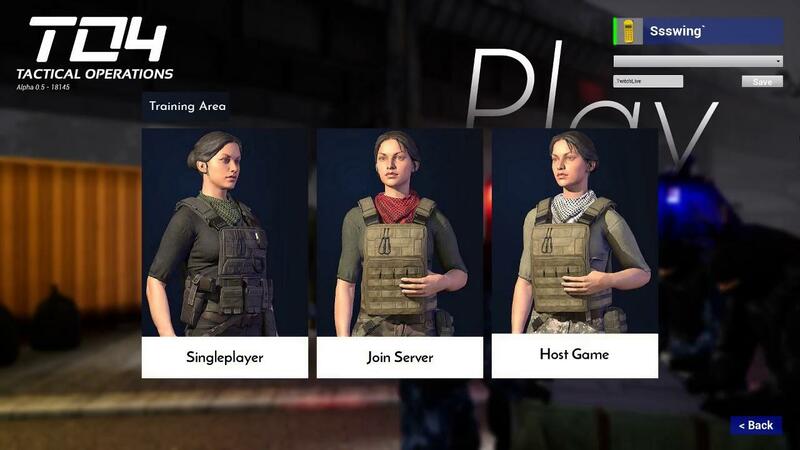 Ground Branch will be on PC and Mac from the start. We would like to be on linux as well, but unfortunately, that ball is more in Epic's court. I am sorry to say that it is not currently part of our budget to port the game to Linux (Mac support is fairly new, if you can believe it); however, if the opportunity ever arises, we have no reason or personal qualms in deciding not to support the platform. For us, It's more of a question of availability of the tech, and costs, than it is an intellectual belief. So for the time being, I suppose the answer is "No." This was last updated on June 12 2012, so maybe there is hope!